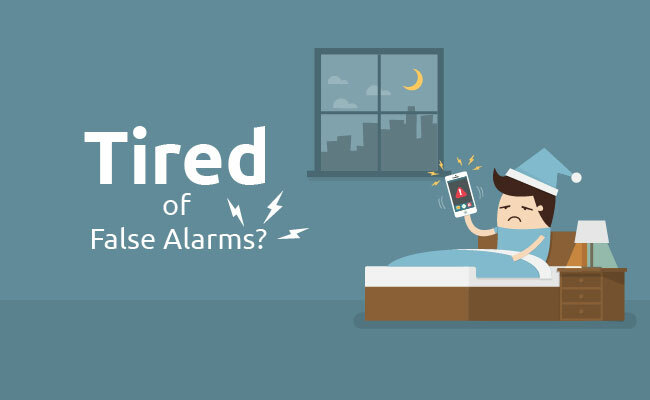 False alarms or nuisance alarms of your home alarm systems or security camera systems in the mid night definitely make you irritating, and they also annoy your neighbors and startle your household pets. In the United States, between 94% and 98% of all burglar alarm activations are falsely triggered, which results in $1.5 billion costs. How to prevent or avoid home alarm system false alarms? You can try the below top 5 false alarm solutions. False alarms have a wide variety of possible causes. Trying to cover them all would be like writing a novel–so we try to show you the most common false alarm reasons and offer you 5 effective solutions. If you install home alarm systems with cameras or home security camera systems, you can solve false alarms by setting up your cameras. There are 2 solutions to solve security camera false alarms. Solution 2. Leave out the detecting zones that you don’t want alarms to be triggered. 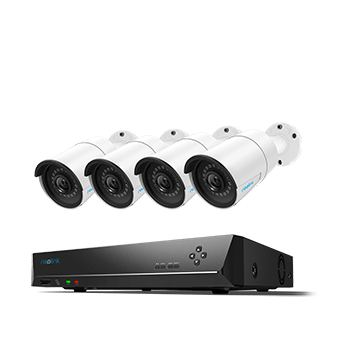 Get the detailed steps here: How to Set up Security Camera Detecting Zones. If your PIR sensors or door/window sensors trigger false alarms for no reasons at night or at daytime, you should check the battery of the equipment first. Low voltage can cause erratic operation. You can stop this type of false alarms by replacing the backup battery periodically. If changing battery is troublesome for you, you can try hard-wired home security alarm systems. What causes false alarms on your home security systems? If you install your home alarm system components improperly, it would tend to cause false alarms more easily. Now check all of your home alarm system equipment location, and install your home alarm systems appropriately. Here are some alarm system installation notices. 1. Smoke/fire detectors should not be installed too close to heat sources or bathrooms, otherwise, it may cause smoke detector false alarms and drag you into unnecessary troubles. 2. Motion detectors, including PIR (passive infrared) sensors, door/window sensors, etc., are not placed close to heating or cooling vents. Entry points such as doors and first floor windows are ideal places to install your PIR motion detectors. Usually, they are mounted in a wall or in a corner about 5-8 feet high. 3. Bad wires. If you use hardwired alarm systems, there is a possibility that wires get crossed or come loose, which would cause false alarms. 4. Pets. Sometimes pets moving around your home may trigger alarms. You can use pet-friendly sensors to fix this problem. There are motion sensors that are not sensitive to anything under 80 pounds. You can also restrict the access of your pets to rooms with motion detectors. Plus, PIR sensors are only sensitive to a person’s skin temperature, so you can install PIR movement sensors to avoid pet false alarms. In the US, 32% of false alarms are due to lack of end-user training — that’s why you should properly teach your family, friends, babysitters, etc., to arm/disarm your home alarm systems. After you have grasped the way to use your alarm systems, then you should help your family or friends to practice using the system. Show them how those alarm system components work and how they can be activated, and then have your family and friends arm/disarm the system multiple times with the help of you. Dual-tech motion detectors combine passive infrared (PIR) and microwave sensors to reduce false alarms. For motion to be detected, both sensors need to be triggered at the same time. This kind of motion deters indeed lower false alarms since heat and light changes would trigger PIR sensors but not the microwave. However, if an intruder is capable of fooling either the PIR or microwave, the sensors will not detect those bad guys. On August 29, 2016, an active-shooter false alarm brings chaos to LAX, which temporarily puts a stop to travel and causing lines and delays to pile up into Monday morning. The above examples show all of us that false alarms would scare the public and waste policing force. That’s why all of us should try all possible solutions to solve false alarms. By solving false alarms, you will not only help keep police patrolling the streets, and you will reduce the chances of being fined. This entry was posted in Buyer's Guide and tagged alarm system, false alarm, security camera system.